The public accounting and business advisory firm, Mueller CPA, has merged with Mulcahy, Pauritsch, Salvador & Co., another well-known, certified public accounting firm in the Chicago area. The merger went into effect on January 1, 2018, and is one step toward Mueller CPA’s growing presence and visibility in the Windy City. Mueller is a certified public accounting, business, and financial advisory firm located in the metropolitan Chicago area. For 50 years, Mueller has provided accounting, tax, assurance, and management consulting services to privately-held and publicly-traded companies, local governments, and non-profit organizations. With this deal, the Elgin, IL. based company will gain 42 new employees (a shift from 118 to 160), who will serve clients from four different Chicago locations. Mulcahy, Pauritsch, Salvador & Co., (MPS|CPA) currently has offices in Orland Park and Burr Ridge. MPS|CPA plans to adopt and operate under the Mueller name while continuing to serve its clients in its existing offices. 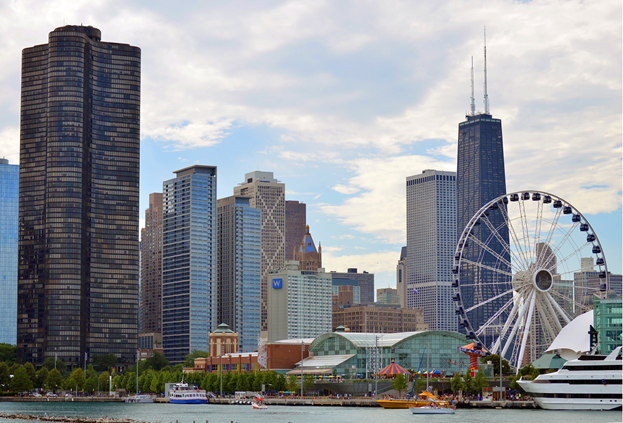 Before the merger, MPS|CPA was a top Chicago accounting firm, serving over 2,500 companies. Previously, they served as CPSs and personal and business advisors to companies in a wide range of fields and industries. Again, MPS|CPA will now operate with the Mueller name and will continue to serve its existing customers from its respective offices. While the financial details of this merger were not disclosed, there is some important information that we can use to think more deeply about this deal. In 2017, Mueller had an annual revenue of $17.2 million, while MPS|CPA logged an annual revenue of $9.6 million. Based on this information, it is expected that the newly combined firm will have a total of at least $26.8 million in annual revenue going forward. Prior to the merger, Mueller had 17 named partners, while MPS|CPA had eight. Based on this, the newly combined firm is expected to have a total of 25 named partners to help ensure the future success of the newly merged firms as they work together with common goals in mind. Mueller also works with and services clients globally as PKF Mueller as a member of the PKF International Network of Independent Accounting Firms. From the glowing and dedicated reputations of these two firms, it is clear that a merger between Mueller and MPS|CPA will only improve standards in the accounting world and continue to help businesses and individuals thrive in their respective fields and industries. For more information on this large-scale Chicago accounting firm merger, financial advice and analysis, and networking opportunities with other financial professionals, visit our website.